A Customer Service Oriented Classroom Experience | So You Want To Teach? When I was in college, I had an assignment for one of my classes. The assignment was to write up my own philosophy of education. It was somewhat noble (“I teach children to be better people through music” or something like that). It was substantially trite. Most importantly, it lacked any passion behind it. In my very first teaching job interview, the principal interviewing me asked me what my educational philosophy was. I gave some sort of flimsy answer because I wasn’t prepared for the interview. He gave me a chance later on to ask me if I had any questions. I asked him what his educational philosophy was. What he said has stuck with me ever since. He said that he views education as a customer service industry. That caught me off guard because I had never heard of that approach. He went on to say that we as teachers provide a service. We provide the community with educated children. We provide the students with a safe learning environment. We provide the students with useful and relevant education. [W]e as teachers provide a service. We provide the community with educated children.This philosophy did not mesh with my paper I had written in college at all. In fact, this was completely foreign to my concept. Customer service? Isn’t that the people who answer phones and punch buttons on the cash register at stores? I even worked in the customer service department of Best Buy very briefly. But I didn’t serve customers. I served myself. I wanted my $5.50 an hour, so I showed up to work, answered some phones, punched some buttons, scanned some SKUs, and checked credit card signature panels. As I have begun to integrate that principal’s philosophy into my own, I have come to understand much more what it means. This past summer, I began to really realize that my classroom model should be based more on that of a small business than of a university or even the classrooms that I had experienced in high school. As a first year teacher, I never made contact with parents, unless they contacted me first. As a fifth year teacher, I send out emails to parents, post updates on a blog, have a website on the district server, have misbehaving students call home to inform their parents of the problems, and even give parents opportunities to come up and help out at school. As a first year teacher, I tried to make students to learn what I felt they needed to learn. As a fifth year, I try to motivate the students to learn what I know they need to learn. As a first year teacher, I had all the answers, but the kids just didn’t listen to me. As a fifth year teacher, I seem to have less answers than I did then, and I listen to and learn from more experienced teachers. I also share with less experienced teachers or anyone else who is willing to listen to me. I realize that if I am going to have kids who absolutely love coming to my class, I must give them a reason to want to come back. The same is true for any business that is successful. I remember when i was in school, I had an assignment like that: Why I want to teach. I think that many people enter the feild with idealistic goals of changing the world, and then after a few years we froget why we entered the feild. I think a lot of us need some reminding! I’ve always been intrigued by the business model of Starbucks, and how that might apply to teaching music. How is it that within a relatively short span of time, there is a Starbucks shop on every street corner, and people are willing to shell out almost $5 for a cup of coffee? At the risk of sounding like a commercial, the Starbucks web site and mission statement have some interesting points that are not unrelated to your mission statement quandry. We are teaching MUSIC! What more attractive, appealing subject matter could one teach?! And yet why are music students in the minority in almost every campus across the country? I am convinced it has something, in part, to do with what you are talking about here: customer service. @Prepmasters – Thanks and welcome to the blog! Customer Service…..? I have to think on that for a bit. It is a lot like it: you have to make a good first impression; offer something that sells your product; every now and then change it up to keep it interesting; and leave some room for growth. Looking back, I can plainly see where my mistakes were: I made a great first impression, had a product that would sell, but couldn’t get past that the point where I didn’t care that people liked me. It’s rough but the truth. As a second year teacher, I feel like it’s my first year. I worked at McDonald’s for about six years and it was “service with a smile” whether you wanted to or not and whether was always right or never right. It’s a great job if you like to feel guilty. Or you can see it as an opportunity to learn what customer service is all about: pleasing the crowd and doing the best you can to keep them coming back for more. How then, can we apply this to teaching on a regular basis? 1. Greet your students with a smile, even when you don’t feel like to or want to. 2. 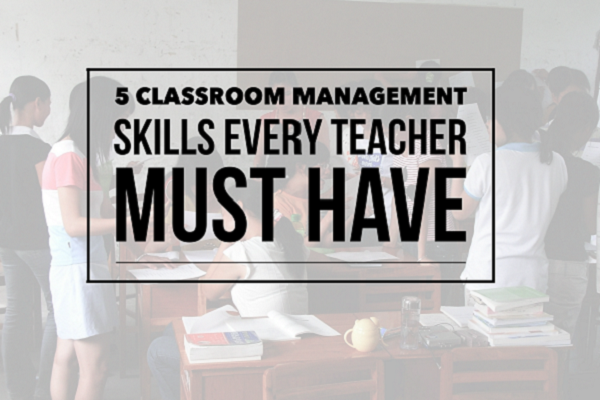 Teach the student to serve work that has quality to it without the greasy spoon feel. 3. Demonstrate your love of service by giving it your best shot. Even if you miss, perhaps there is one who gained from the experience. 4. The customer is always right, well sorta. Encourage the positive results so that negative ones will diminish and not augment. (ha ha I made a music finny) And last but certainly not least, 5. Offer the students a cliff hanger so they’ll want to come back find out more. Music is one of those “never ending ” subjects, The more you know, the more there is to know…. It’s a vicious cycle, I’m afraid. Emily: Wow, I like how you took your McDonalds experience into this. As I get older, I find that I am coming to believe more and more that pretty much everything in life can be boiled down to Customer Service. As a teacher “A customer service oriented classromm” has been right from the beginning my philosophy.This philosophy helped me to built the best program in our school and after 5 years…it became a real business oriented program for the principal. I left the program because it lost one fondamental thing “its soul”. The following year I re-define the service customer philosophy with a new approach…my students had to become the “servers” and I the customer. Through this new process of teaching I believe to focus on the right things.They have to sell me their passion and competences through their projects, homework, attitudes. I’ve also added what I called ” la course � l’emploi..run for a summer job”. At the beginning of each year I find 3 to 5 great summer jobs for them with a great salary and under the supervision of someone I can trust. From day one I explain to my students (13-14-15 years old)the challenge and the process (a little too long to explain here but I’m pretty sure you can figure out your own)to get a summer job. What is so beautiful in this process is the grades are one thing and the self-commitment another one. Yes, my students will become responsable citizens!Yes, it’s a win win situation! And here nobody sells its soul!If you like this approach make sure your principal agree, make parents involved in the supervision of their child during summer time,and once in while keep in touch with the business owner. As a French person living in Canada my mom used to tell me…Inspire yourself from American people…they are the ones who can teach us to learn how to get the best out of people. They are the ones who can teach you how to make a dream become a reality…so your philosophy inspires me in my everyday life! I hope there aren’t too many grammar mistakes! Viviane, that is such a cool story! I’m excited for your students. I love the idea of providing summer job opportunities for the kids. It’s a bit more challenging with labor laws and all that in the US as kids can’t legally work until they are 16 (to the best of my knowledge), but there are still other things along these lines that would be great. I also really enjoyed imaging setting up a classroom environment where the students strive to serve the teacher. It prepares them for success in most real-world environments. True leadership is service. So in a very real way, you are preparing them not only to be contributing members of society, but also to be incredible leaders along the way. I really dout if the education is a mere service, like other services. Suppose u want to build a house u need services from all kind the fit the purpose, but in education it isnot the same, it is not merely service oriented. The teacher work on epistemological aspects of man therefore they have to guide others not only prepare what they want or desire. And providing those ideas and epistemological aspects would not be considered providing a service? Is it a product? If we’re providing neither a product or a service, then why is education necessary? 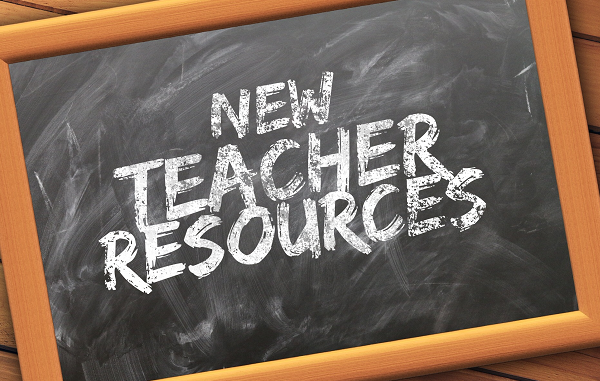 I�m a newbie to your site and to the teaching profession, and it�s this article that has stuck with me the most. All teachers write those “philosophy of education” papers while they�re in college, but I�ve never actually read one (including mine) that seemed to hit on an original idea and grasp the true idea of teaching. I like this customer service approach theory, it�s innovative. In my opinion, so many teaching philosophies seem to aim at stuffing as much information into the children’s heads as possible, especially with the standardized testing craze. It is true that children need to learn information and methods, but I think the most important job for a teacher is to develop a child�s critical thinking skills, the ability for each student to create and think on their own, and to support their moral/citizenship development. When a child can not only spit back the information given them, but can analyze that information and create a new idea from it, to me, that�s success in teaching. I guess this would be a combination of your philosophy and Viviane�s philosphy. We, the teachers, are providing a service, in order for the children to then provide a new service to others (i.e. the community). Thanks for the great article! Have you heard of any other interesting takes on teaching philosophies?